Teton is not a chewer. This is good for me because it means that he never chewed on our shoes when he was a puppy and he doesn’t get the urge to chew on furniture or bras when he’s home alone. 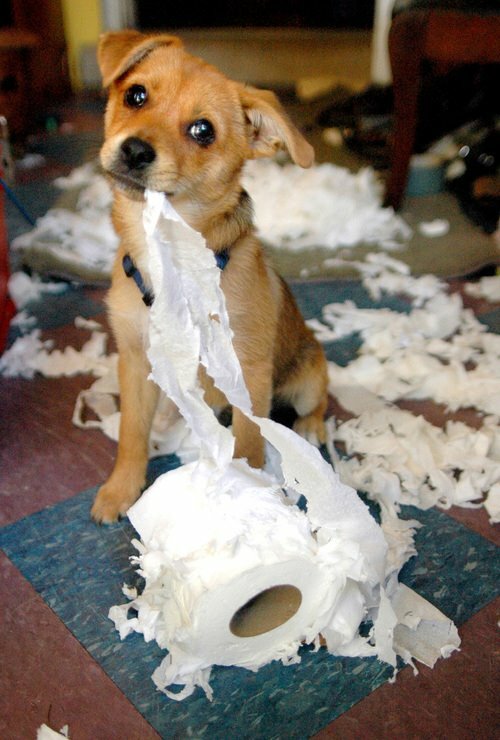 It appears as though you are home early. This is also bad for me because I have an uncontrollable urge to buy dog products – many of which include chew toys – and in the heat of a transaction, I don’t stop to think, well shucks, Teton won’t lay a finger on this and I should probably save my $14. For the record, I don’t use the word “shucks” in daily life. Some salesperson at our local pet store convinced me to buy this a while back and I was bamboozled. She used her salesperson trickery on me and before I knew it my credit card was swiped and I was driving home. What? You don’t smell your dog’s toys? Two words, people. 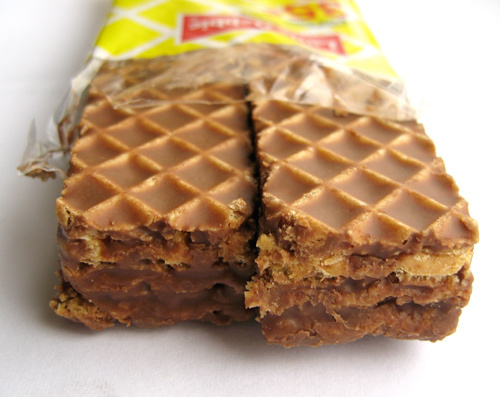 Nutty Bars. If I had a portal I would bring you through my computer to smell this sucker because – no lie – it’s like I’m unwrapping a Little Debbie Nutty Bar. So, let’s be honest here. I bought the Peanut because it smells good and I thought The Little Blogger would chew on it because the smell was appealing to him. It may come as a shock to you, but I was wrong. These photos are as close to the Peanut as Teton will get. Oh, hey ladies. Care to touch my Peanut? 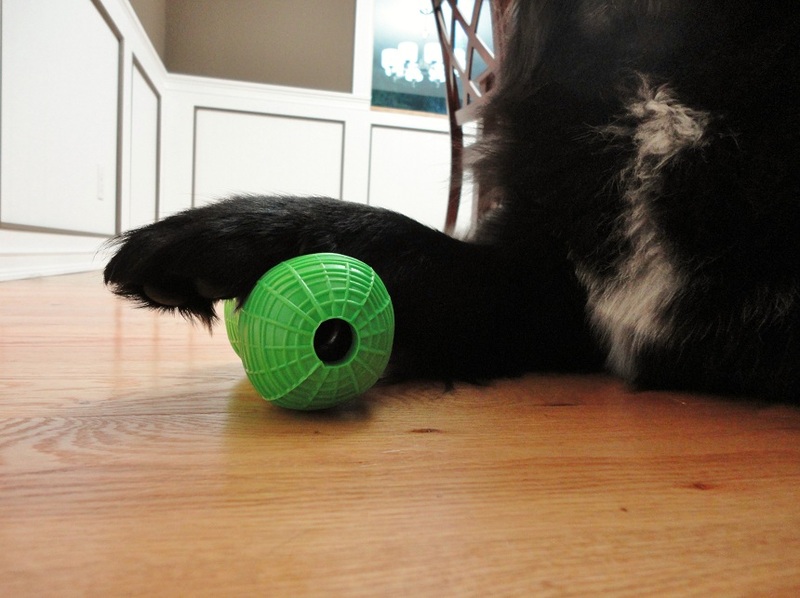 The paw over the toy is a nice touch, T.
Teton has no interest in this toy. I’ll be passing it on to a friend whose dog likes to chew, so we’ll see what happens there. 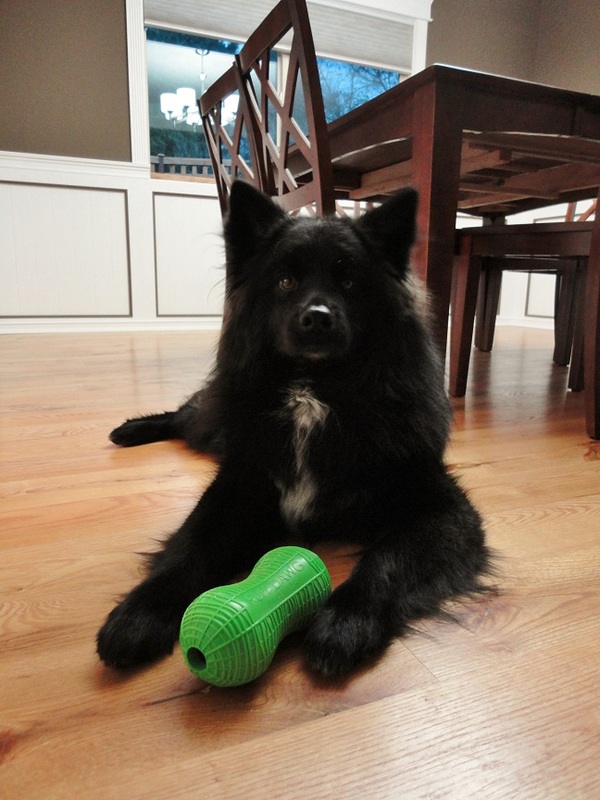 I’d like to say that this will be the last chew toy I ever buy, but we all know that isn’t true. 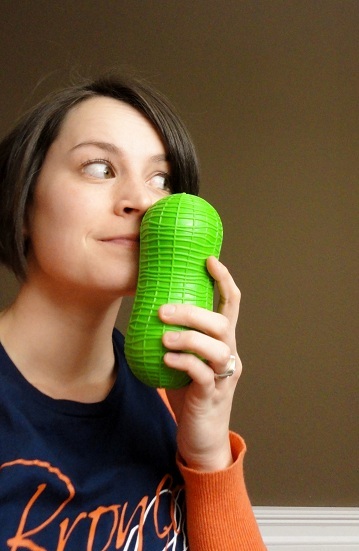 The Peanut appears to be well made and durable. 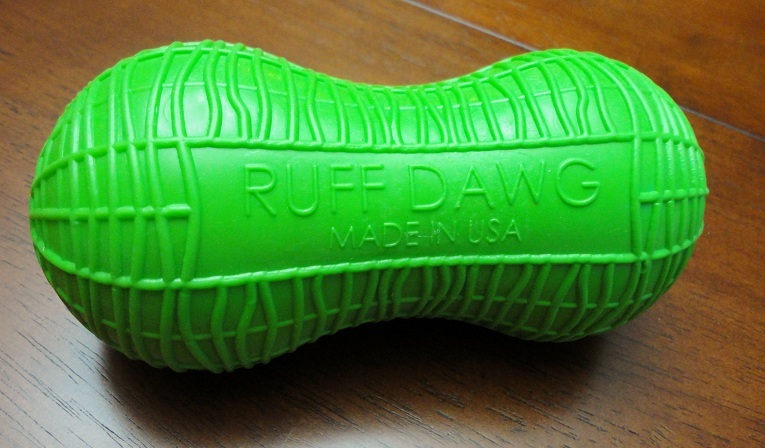 It’s made of a strong but malleable rubber so I imagine that, for dogs that like to chew, it would be right up there with the best shoes and table legs in the market. 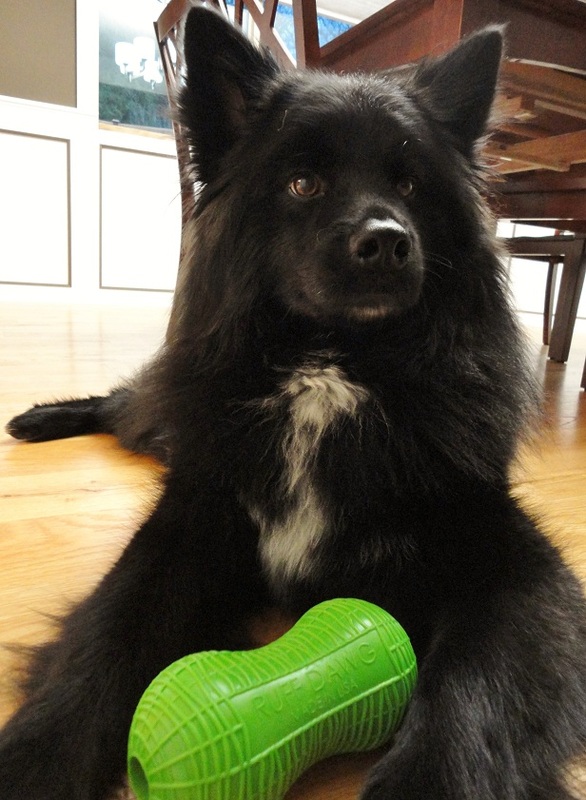 Even if Teton loved this toy, the $14 or something ridic that I paid for it is just too much. What about you and your dog? 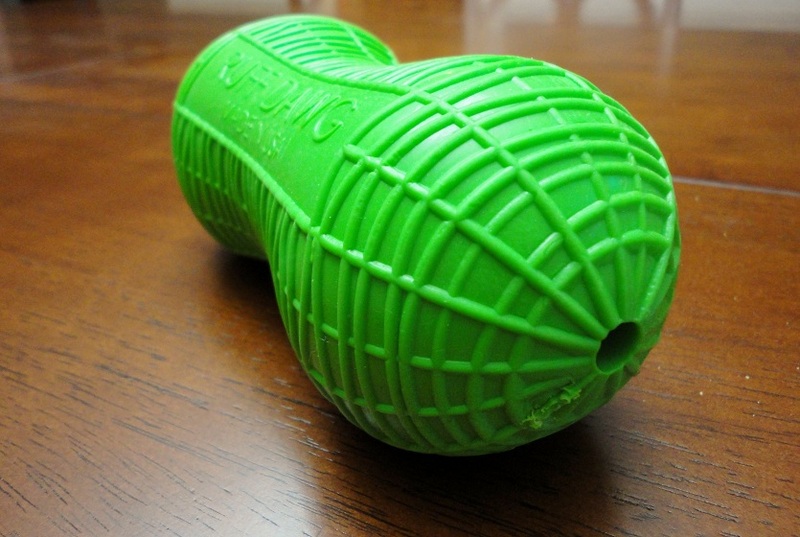 What’s been your go-to chew toy? Posted on February 7, 2012 by Shannon	This entry was posted in Toy Chest. Bookmark the permalink. does it really smell that good ? Would you believe that it does? I might go take a whiff right now, in fact.